What Makes A Good Dog Grooming Table? 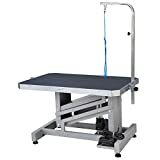 Electric or Hydraulic Grooming Table? Size of the Table Top? Should I Buy a Groomer Table That Includes All The Above? A great dog grooming table is the most essential equipment whether you are a professional or occasional pet groomer. Without it, grooming works such as dematting a dog’s hair or trimming its nails become a lot harder. The best dog grooming tables are designed depending on your own needs and requirements. They may have an arm, loops, noose, and so on. These little additions are not futile at all. They make your life much easier when using your grooming tools but also when keeping the dogs still, steady and safe. If you are after a cheap option (< $50), just use your regular table in a do-it-yourself way, or use a foldable grooming table from Flying Pig. This is a page comparing professional-grade dog grooming tables: foldable, electric, hydraulic, etc. Although we can it a dog grooming table, it should be called a grooming workstation; indeed, it is way more than just a table. A great pet grooming table should have you able to work on different pets, of different shapes and sizes, without the need for you to bend over, stoop over or feel unstable. The number one priority when picking a grooming table is you and your back! If you work several hours per week with it, definitely invest in the best quality tables described below, otherwise go for a more economic one. A little visual comparison of the different dog grooming tables commonly found. Electric tables are the most expensive dog grooming tables because you can adjust the height just by pressing a button. They commonly feature an adjustable chassis that is powered by an electric motor. These tables provide you with an extremely comfortable working height ranging from 50cm to 130cm for most models. It can be changes using the table’s remote control for a smooth effortless action. These are sometimes called lift tables. Prices go from $600 to several thousands. Hydraulic tables are more economic pet grooming tables that use a foot-operated hydraulic pump to adjust the table’s height to a comfortable level. If you only groom your dogs or change the height occasionally, this is a better choice. However, it may become annoying after a while if you have to change the height several times a day or week. Prices are around $500. Foldable and adjustable tables are the cheapest but offer not real stability and are for occasional users who want to use it once in a while for their own dog(s.) They are decently priced and do the job for private users although hydraulic tables would be a much better choice in the long run. The main task for these devices is to keep the pets standing up, stable and safe. 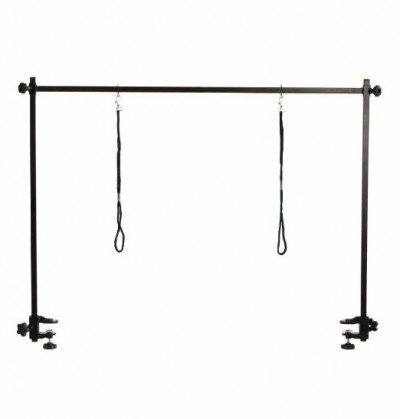 From there, manufacturers have created various tools but the most used ones are grooming table harnesses, loops and nooses. 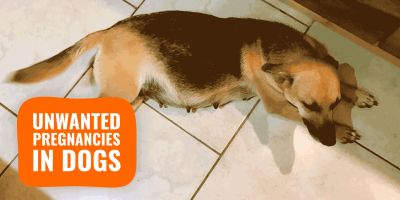 There is no perfect device but rather devices suiting a particular size or type of pets. You won’t hold a Bernese Mountain the same way you are going to hold a Siamese or Pomeranian. They all operate using a different mechanism but lean towards the same objective: keeping pets still on the table so you can perform all the grooming tasks with no agitation. Many argue about how human loops and nooses are or can be. It is definitely humane unless you use it like a torture device but I doubt our readers here are into torturing pets! Arms are perhaps the most underrated items of the professional grooming supplies. To many, these are mere metallic bars with hooks here and there to attach the restraints. They couldn’t be any more in the wrong. Arms are the cornerstone of your grooming table top. Make sure you have an extra one in case one breaks (some dogs have a lot of strength) and you must absolutely buy quality table arms in order to avoid accidents. H-Bar arms will be fixed and attached on each side of your dog grooming table and will allow you to deal with rather agitated pets. They always usually come with at least two hooks (for restraints) which helps providing a precise grooming job. On the other hand, you have an obstacle on both side of the table so if you like working in motion and moving around the table, that won’t be the ideal choice especially with corded clippers. Regular arms are a much better solution for groomers who like to have space and freedom of movement while working on the animal. Depending on the quality of your purchase, the sturdiness and solidity of the arm will vary. Many regular arms are foldable so you can have your full table available for some specific tasks. Although most dog grooming table tops have similar sizes, you may have to use larger grooming tables if you clientele tends to have larger dogs. This is both for your own and the dogs’ comfort. 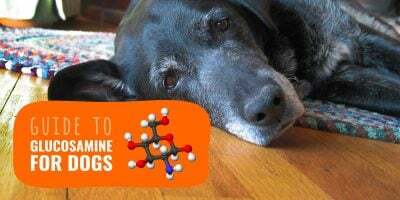 However, using a large table top with many small pets will have you bend over and ruin your lower and middle back after few months. Take some time and think about the average dog you’ve received over the last months and make up your mind. There is no definite answer to this. If you are buying a top quality grooming table kit, yes, everything will be of great quality so it saves you the trouble and the time to pick and choose each accessory separately. If you are buying a cheap table, you may want to buy a top quality arm and restraints since this could affect the pets’ safety. Now we’ve seen what are the components you should care about for your perfect pet grooming table, it’s time for us to offer you the highlights and absolute best grooming tables for 2017. Obviously, your needs aren’t always as demanding as a professional groomer’s, so make sure you buy a product versatile enough in case you expand, but don’t buy an overkill. Here is our review of the top 5 best dog grooming tables for professional and occasional groomers. If most tables are too much of an investment for you, the Flying Pig foldable pet grooming table is a great alternative. 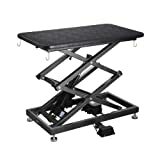 It is sturdy enough so it can hold up to 330 lbs or 150kg without any wobbly movement at any time. This grooming table comes already assembled. Just open the legs and pop in the handy tray to get started. It featured a bone-shaped non-slippery table top that is extremely easy to clean. Don’t be fooled by its look, this table is heavy and the table top is approximately one-inch thick. 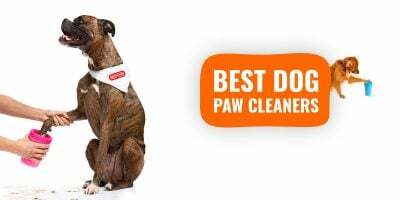 The attractive price makes it a no-brainer as it will pay for itself pretty quickly by saving a couple of trips to the professional groomer. This is a good table for passionate dog owners or breeders, it even comes with a quality foldable and adjustable arm and noose. This table will welcome dogs of all sizes, from very small to very tall. This is a professional electric grooming table that will suit most active groomers. It definitely equals most tables priced in the 1000’s of dollars.The table-top is substantial, and padded, and comes in separate packaging. It is made of waterproof high-density material that happens to also be non-skid for maximum safety and comfort. This ComfortGroom table’s range of height is phenomenal, from 10″ to 48″ with foot remote and speed adjustment. The table is very quiet when adjusting its height so you won’t scare the pets while using it. To top this up, there is a lifetime warranty on frame and a 2-year warranty on the motor. For the clean-freak, there is enough space between the table’s bottom and the floor to slide a dust mop under. As you can see in this review of professional grooming tables, prices range from a few dozens of dollars all the way to over a thousand of dollars. Most grooming salons and even occasional groomers will do fine with this electrically-operated grooming table. Indeed, it is a quality lift table made with premium-grade materials and a Z-Lift base in order to ensure stability with all dogs. 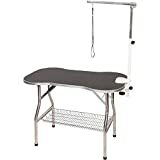 Thanks to a lower price than most hydraulic tables, the Go Pet Club Grooming Table is a good bargain since it also provides all the perks you would expect from a professional groomer’s table: non-skid table top surface, aluminum alloy to save your flooring, static free top surface, and the much needed clamp-on adjustable arm to restrain dogs from moving too much. All dogs are welcome on this very solid table; the package will come in three boxes and overall the shipping weight is around 100lbs. Putting it together is much easier than you would think with the main challenge lying in the weight of some parts. Get a strong friend, husband, or neighbor to help you. A heavy-duty hydraulic pump is powering this premium top quality dog grooming table by Groomer’s Best. The table top is sprayed with a non-skid textured sealant and includes two scissor holes and two clipper blade holders. As you can see, this is a table that has the groomer’s equipment and organisation in mind. The hydraulic pump has a very quiet up and down motion and you can adjust the down speed to your liking. There are 4 adjustable leg levelers so you can adjust the height regardless of your position around the table. There is a one-year warranty against manufacturer defects. So far, we are very pleased with this purchase for our boarding, grooming and day care business. We purchased a competitor’s product first, because of the better price, but it worked for just 3 hours before the hydraulics went out on it. This was ordered immediately as a replacement, and we are very satisfied with it. If you need a reliable hydraulic grooming tabled at a reasonable price, we recommend this one! Small dogs and puppy can move a lot thus they require specific hardware in order to be kept in place during grooming times. The Master Equipment Small Pet Grooming Table offers great control and saves steps by rotating as you work. This puppy grooming station can be used on any flat surface; even your lounge or living room table. The dog’s weight anchors the table at the desired rotation thanks to a unique design and rubber feet. This is a great little grooming table and can be used on any table you already have; it is a perfect station for anyone who wants to groom their pets at home, but just don’t have the space for a full table. The circular movement is very helpful in helping you reach properly all areas on your pet! 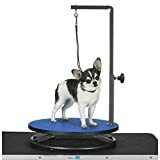 One clear precision: do not buy this table as a professional groomer but for everyday quick grooming tasks on small dogs, this is a super addition for any salon or any private dog owner. 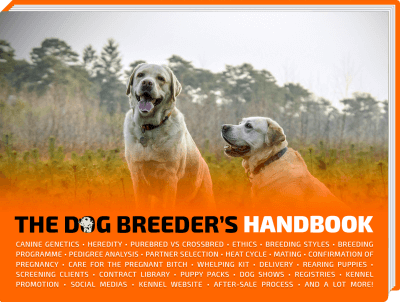 You could even bring it to dog shows thanks to its portability. Finding the right dog grooming table is an crucial moment, especially if you run a grooming salon. If not, you will do just fine with one of the modest dog grooming tables currently available online. Flying Pig grooming tables are of very great quality and range from cheap folding mobile table all the way to hydraulic grooming tables. 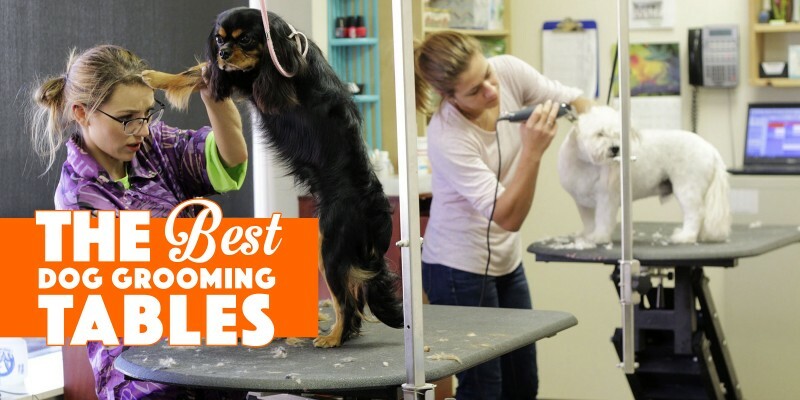 An updated list of the best dog grooming tables currently available. We’ve wanted to update it with a cheaper option or two so everybody can find THEIR right choice.